Another negative side effect of poor sleep is dehydration, a new study suggests. This could be linked to the body's release of the hormone vasopressin, which regulates water absorption. The benefits of sufficient sleep range from lowered health risks to better mental health. But when you miss out on sleep regularly, there are tons of side effects, in addition to grumpiness, that inevitably will take a hold on you, like dehydration. A new study, published in Oxford’s Sleep journal, suggests that anything less than six hours of sleep per night could leave our bodies dehydrated. Data showed that people who slept six hours a night or less produced significantly more-concentrated urine and had a 16 to 59 percent greater chance of being dehydrated, compared to adults who were getting a regular eight hours of rest. The researchers report that waking after a poor night of sleep and feeling sub-par could be a result of the dehydration as well. Researchers believe their findings could be traced back to a hormone called vasopressin that regulates hydration, and is released during the day and the night to manage fluid levels in the body. 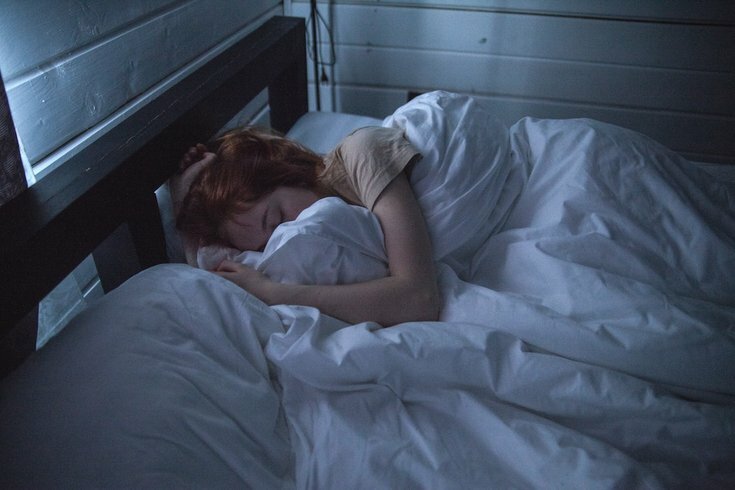 "Vasopressin is released both more quickly and later on in the sleep cycle," says Asher Rosinger, one of the team’s researchers from Pennsylvania State University. "So, if you're waking up earlier, you might miss that window in which more of the hormone is released, causing a disruption in the body's hydration." Vasopressin is in charge of making sure our bodies don't lose too much water while we're sleeping. Interestingly, the hormone can actually pull water back into the body from our urine. But when a person isn’t asleep long enough for the vasopressin to release, it causes a knock-out effect, leaving a person dehydrated. The study examined the records of more than 25,000 adults in China and the United States, who were asked about their sleeping habits and had urine samples taken to check for “biomarkers linked to hydration.” Vasopressin itself wasn't measured, but indicators of it — like the water content in urine samples — were. Researchers believe the relationship between dehydration and sleep could actually be a cyclical issue as well. If someone’s sleep is affecting their hydration status, dehydration could be affecting their sleep as well. The best way to combat the negative effects of poor sleep and dehydration? Keep some water next to the bed to chug as soon as you wake up, the study suggests.